RECHARGE SKIN WHILE YOU SLEEP WITH THIS ULTRA-MOISTURIZING, LUXURIOUSLY HYDRATING VERSION OF MICRO•NIGHT. A richer, more emollient version of MICRO•NIGHT helps replenish moisture and guard against skin dehydration. MPC (Micro Protein Complex) anti-aging technology targets multiple signs of skin aging including fine lines, wrinkles, loss of elasticity and firmness. 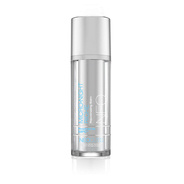 Delivers essential nourishment to help restore skin’s youthful look and feel. Apply in the evening to face, neck and décolletage or as directed by your skincare professional. Use MICRO•DAY Rejuvenating Cream Broad-spectrum Sun-screen SPF 30 during the day.